A week later, not much has changed with me! 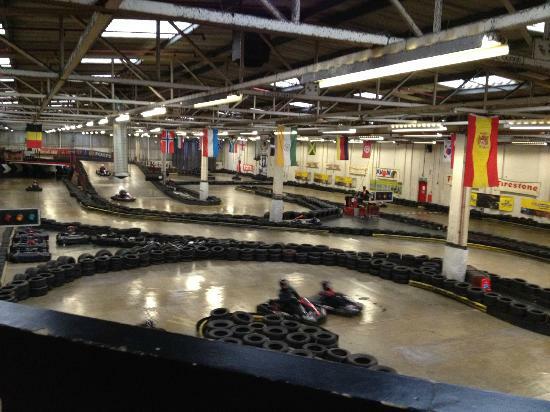 But recently got a new job with the local Go Karting centre, we had a staff championship Grand Prix yesterday. An hour down the road to Bristol for our regional heats and it's pretty safe to say I came dead last. Yeah, I thought it was going to be a friendly few laps around the track. Boy was I wrong, I got up to the changing rooms and half the lads strolled up with a duffel bag filled with their own jumpsuits and helmets. Oh crap. This is going to be pretty serious. I looked at another recently hired guy and said, it's just me and you. Head to head. It's going to be a free for all. It was, I gave it my all and didn't spin out once! But as an overall centre we won!! So hey, round 2 next week I best get some practise in no? Anyway to the soufflé, I was attempting to make a gorgeous chocolate and mango tarte with a luxurious chocolate and caramel ganache. I failed terribly at the first hurdle of home made custard mixing in a fresh mango puree. If anyone has a good recipe or tips for this please help me out! I was left with a lumpy brown mess... so that went in the bin. Waste?! I wanted a new challenge and gave up on the mango. This is incredibly easy and I was so shocked that I actually got a good rise from it! Score, smile returned to my face at last. I hate defeat. This recipe only takes 4 ingredients and if your an avid Baileys drinker you've just saved yourself a trip to the shops. Prep: Using 1 tbsp of cocoa powder and 1 tbsp of sugar. 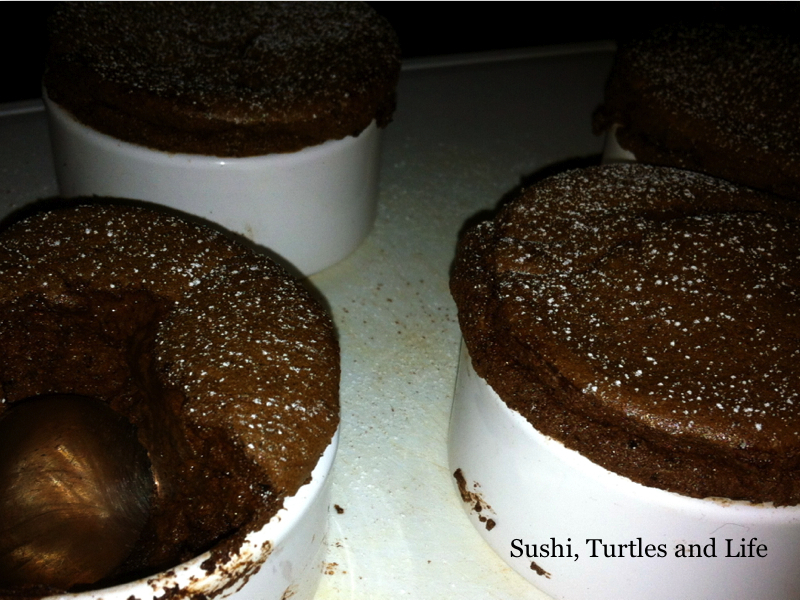 Grease the ramekins and dust with cocoa sugar mixture. To evenly coat. 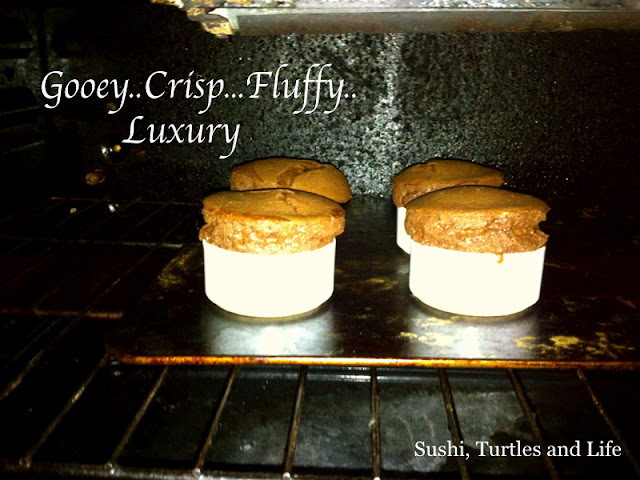 Preheat oven to 190 degrees. 1. Mix liqueur and cocoa powder in a small bowl. 2. In a separate bowl whisk egg whites adding sugar in parts to form stiff peaks. This is roughly 6-8 minutes using an electing hand mixer. 3. Once stiff (You can try the over the head trick if your confident enough!) Spoon half the mix into the choc mix and fold in using a figure of 8 motion. 4. Once mixed in well add the remaining egg mix and repeat. 5. 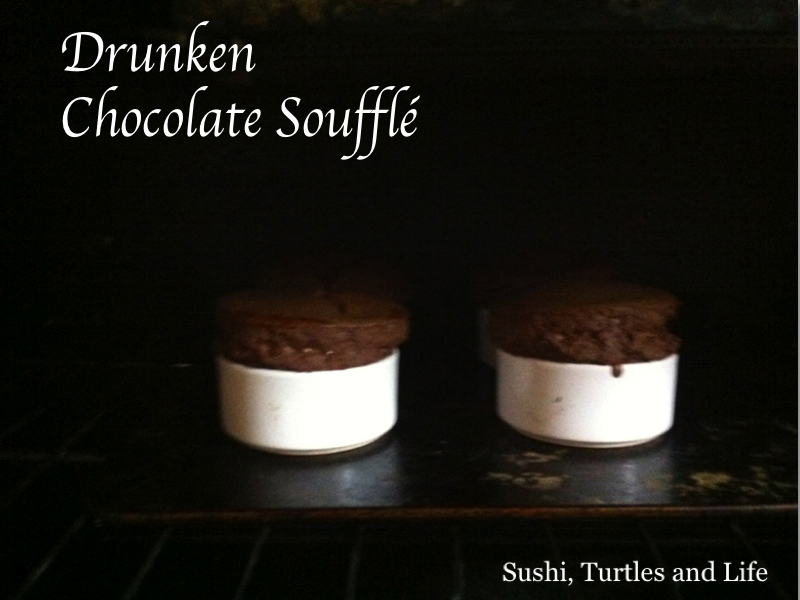 Spoon into ramekins and bake for 13 minutes. 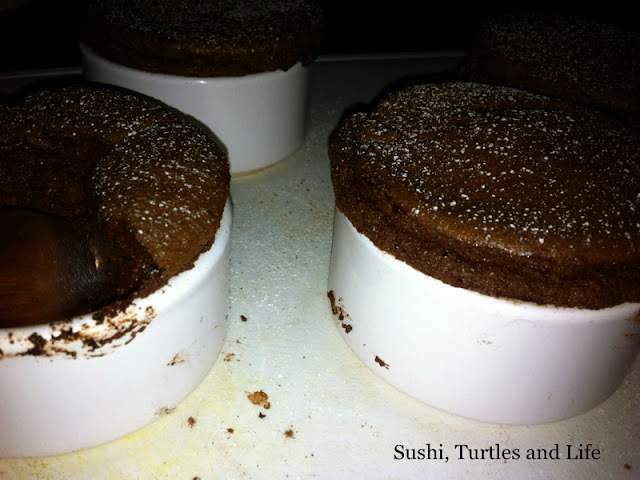 - Be sure to completely coat the ramekins with butter and cocoa sugar mix! This will help the rise. - Completely mix in the eggs. No streaks or marbling. This will again effect the rise and flavour, leaving patches of tasteless egg white. - Do not knock or disturb the air you've built up or you'll get a flat blob. Dont forget my giveaway is closing soon, win 4 pieces of diva jewellery!